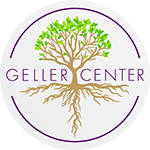 The Geller Center is thrilled to announce the launch of our vision statement. “Just communities” reflects the Geller Center‘s vision of a world where every person has (1) a welcoming community to call home and (2) a socially just world to live. We envision a day where all people experience safety, access to basic needs, equal opportunities to thrive, and acceptance by their communities. Join us in transforming this statement from a vision to a reality.